I was excited to visit this windmill during our recent weekend break to Anglesey; Llynnon Mill is actually the only working windmill in Wales so it’s a bit special really. Plus it does look lovely with its sails! The mill was built in 1776 by Herbert Jones at a cost of £529.11s.op and at the time was considered high-tech! Nowadays we have moved on from windmills which is a shame really as they are so attractive to look at, much nicer than the modern equivalent. You have to pay to visit the windmill - a family of four costs £11, we didn’t stay long, but I still felt it was value for money for something a bit more unique. Alongside the windmill you can also see two roundhouses (only one you can go inside at the moment to learn more about Iron Age farmers, the other is mainly used for school visits), there is also a family friendly walk (we didn’t manage this as we had already done a big walk that morning and couldn’t face another one just yet!) and a tearoom where we stopped for lunch. The staff were very friendly both in the tearoom and the shop. It wasn’t very busy so it was easy to get pictures without lots of people being in the way! I would have liked to take lots more pictures of the windmill itself but it was a family trip and my boys were getting restless, eager to see what they would find inside. 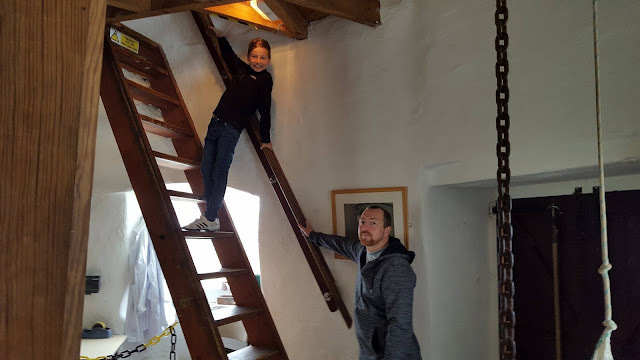 Inside the windmill I wasn’t so keen on climbing the ladders although eldest didn't seem to mind neither did his uncle, all but the top layer is accessible, but it’s interesting just being able to visit somewhere a bit different and learn more about the inner workings of the mill. 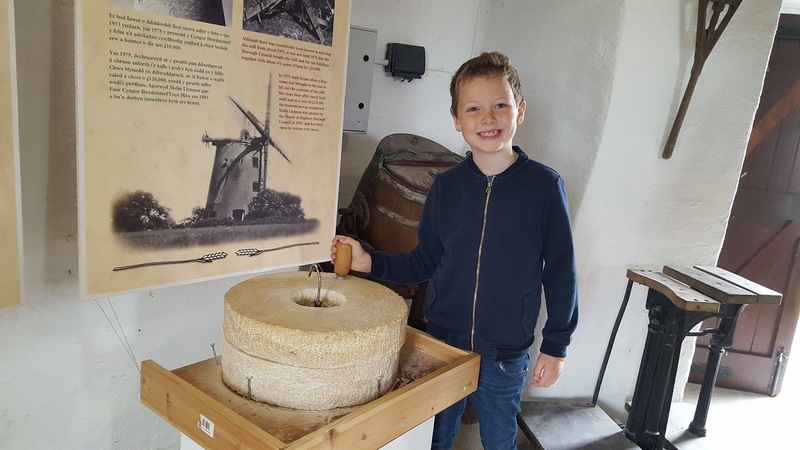 We learnt those milling had to stay close to the mill at all times with the only exception being to go to church. It was hard work but the miller was very well respected in the community. 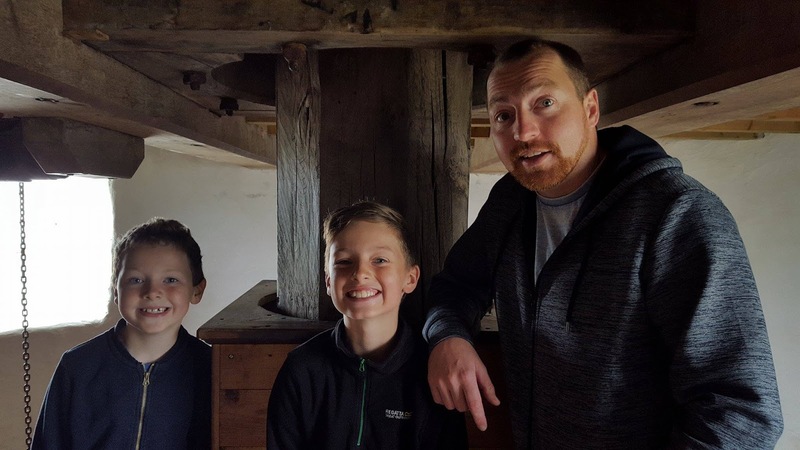 I am enjoying trying more varied attractions with my boys and not just the usual theme parks and farm set-ups to give them a wider experience of life as a whole. So I was pleased our weekend managed to cover a jail, a lighthouse and this wonderful mill, not a bad combination really!